More than 7 million Americans suffer from PTSD, as a consequence of physical or psychological trauma. Thankfully, today's mental health providers have developed increasingly sophisticated tools and techniques to meet this significant challenge, the most effective of which are medications and psychotherapy. Although considerable research in recent years has focused on both approaches to PTSD treatment, few have been able to synthesize that research in a way that is concise and practical, and useful to the wide range of practitioners who treat PTSD. 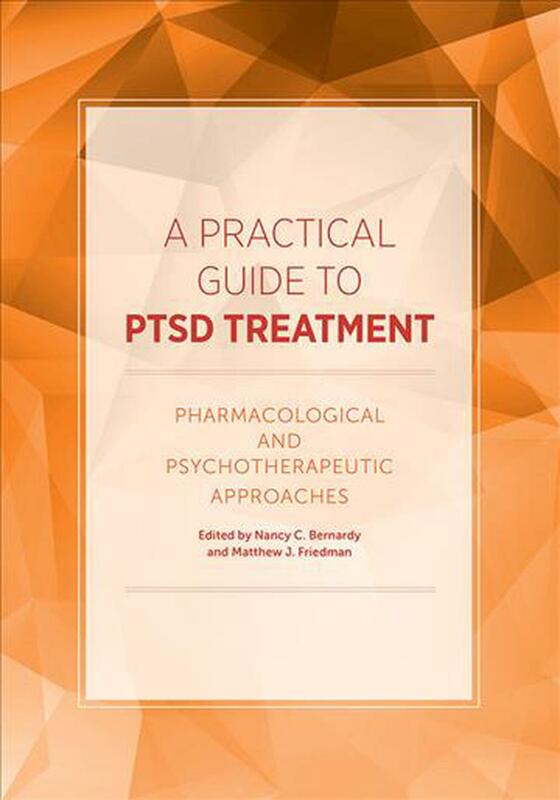 In this handy clinical guide, authors Nancy Bernardy and Matt Friedman show how pharmacological approaches can be integrated with traditional psychotherapy approaches to PTSD. They present common assessment tools and strategies, synthesize implications from research on all existing pharmacologic treatments for PTSD including antidepressants, anxiolytics, and antipsychotic medications, and present clear guidelines for related conditions such as insomnia and substance abuse. Treatment of older adults and others with complicated presentations is also emphasized. The book is suitable for psychologists and social workers who may be unfamiliar with pharmacological approaches to PTSD, as well as psychiatrists and other medical personnel who may be less familiar with the best empirically-validated forms of psychotherapy. Nancy C. Bernardy, PhD, is a biological and clinical research psychologist who has served for the past 6 years as the director of the PTSD Mentoring Program for the Executive Division of the U.S. Department of Veterans Affairs' National Center for PTSD. She also serves as an associate director for clinical networking at the center. She is an assistant professor of psychiatry at the Geisel School of Medicine at Dartmouth, USA. Dr. Bernardy has 20 years of experience as a clinician and researcher, with approximately 35 publications. She is a member of APA and the International Society for Traumatic Stress Studies, and she serves on numerous national research, education, and policy committees for the Department of Veterans Affairs. Matthew J. Friedman, MD, PhD, served for 25 years as executive director of the U.S. Department of Veterans Affairs' National Center for PTSD. He recently stepped down to become a senior advisor to the center. In addition, he remains professor of psychiatry and of pharmacology and toxicology at the Geisel School of Medicine at Dartmouth, USA. He has more than 40 years of experience as a clinician and researcher, with approximately 300 publications, including 27 books. Dr. Friedman is a Distinguished Lifetime Fellow of the American Psychiatric Association, past-president of the International Society for Traumatic Stress Studies, chair of the American Psychiatric Association's DSM-5 PTSD Work Group, and chair of the Scientific Advisory Board of the Anxiety Disorders Association of America. He has served on many national research, education, and policy committees. Past honors include the ISTSS Lifetime Achievement Award in 1999 and Public Advocacy Award in 2009. Dr. Friedman was a finalist for the 2011 Samuel J. Heyman Service to America Medal.